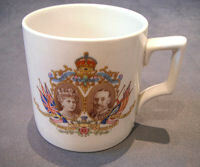 Original, quality, ceramic mug issued to commemorate the Silver Jubilee of King George V in 1935. 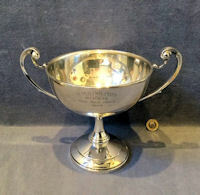 The front has a coloured detail of the King and Queen, the reverse has a small coloured detail and the other side has black type detail "With Compliments of The Petty Officers' Mess Devonport 1935". 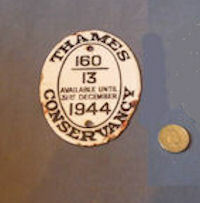 The underside is printed for the manufacturer "George Jones and Sons Crescent". Perfect and complete. 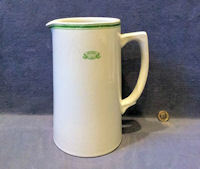 3.25" tall x 3.25" and 4.25" wide including handle. 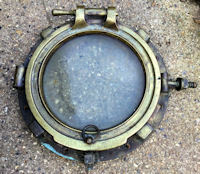 Original, quality circa 1900 / 1920's heavy all cast brass ship's porthole, with the glass to the hinged section and a cogged ratchet locking system. The glazed window frame is impressed "J Stone & Co London" for the manufacturer and "Mullans Patent". 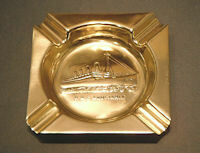 A very heavy porthole, appears complete and in good order. 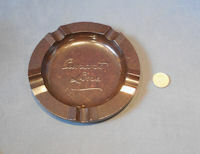 This item was purchased during the filming of an episode of Dickinson's Real Deal at Stafford. Outer Frame 18" diam, glazed frame 15.5" diam exerior, visible glass 12" and total 3.25" front to back. Original, quality pre-war, sheet brass name plate, with impressed detail 'Deck Locker' in black painted infill and with two countersunk screw holes for mounting. Probably from a ship. 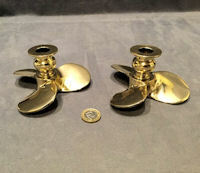 Polished and lacquered and complete and in good order. Declon Locker are you out there? 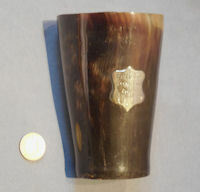 6.75" x 1.25". Original, quality, late 19th century, superb huge 'Gromet' shaped piece of turned lignum vitae, referred to as a Cringle and used with nartical ropework. 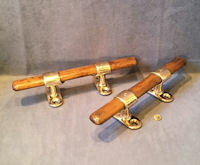 Lignum Vitae is heavy and hard and one of the few woods that with not float. 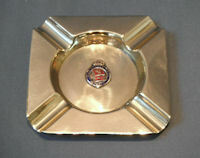 A wonderful, very tactile object, complete and in good order. 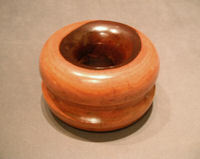 5" diameter x 3" thick.